Bibliomancy for Beginners Google+ Hangout for “Magic for Beginners” by Kelly Link happens TONIGHT! 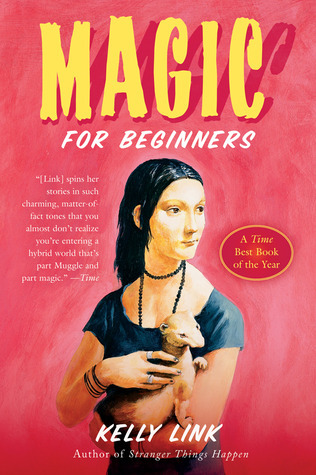 Check back here at 8:30 PM EST for Bibliomancy for Beginners live hangout for Magic for Beginners by Kelly Link! I don’t know if you’ve been following my Goodreads/Twitter but … it’s going to be an interesting hangout. I ended up giving this one a rating of two stars on Goodreads, while Michaela from The Pied Piper Calls gave it four. Where do Taylor and Rachel fall? Watch the video to find out! At 8:30 PM, this post will be updated with the live link to the hangout!